History made, a solid start, here to stay, and miles to go, before we sleep. One year ago, on 7 July 2017, at the United Nations in New York, 122 nations took a historic step when they voted to adopt the Treaty on the Prohibition of Nuclear Weapons. The Treaty filled a gaping hole in international law, providing a comprehensive prohibition on the last weapons of mass destruction to be declared illegal; the only weapons that could not only end all of us, but deny future generations of our kind and many others a right to be born. So in the race to end nuclear weapons before they end us, how is the Treaty faring one year on? The cold war is widely recognised to be resurgent, and earlier this year the hands of the Doomsday Clock were moved to 2 minutes to midnight, as far forward as they have ever been. As the impacts of climate disruption bite, new reports from both the UN Secretary-General and the World Bank document how in recent years the number of armed conflicts around the worldwide has risen sharply, and the number of people killed in armed conflict increased more than ten-fold since 2005. Escalation to nuclear war is a danger whenever nuclear armed-states become embroiled in conflicts. Burgeoning cyberwarfare capacities proliferate new risks. We constantly hear from the Australian government that the international security environment is not suitable for progress on disarmament. The Secretary-General makes clear how pursuit of disarmament is even more essential and urgent in a time of heightened tension and conflict. Leaders of many states that wield nuclear weapons or assist in preparations for their possible use – including Australia – have stated categorically that they will never join this treaty. Yet the need for prohibition to be part of the legal architecture to achieve the world free of nuclear weapons that all states are legally bound to achieve, and claim they are committed to, is indisputable. And enshrining prohibition in an international treaty has been central to progress towards the elimination of every other type of indiscriminate and inhumane weapon – biological and chemical weapons, landmines and cluster munitions. Thus the Treaty provides a moment of truth. The lack of sincerity and commitment to disarmament of those that oppose it is now undeniably exposed. Importantly with regard to Australia, a military alliance with a nuclear-armed state is entirely compatible with the Treaty, provided prohibited activities – related to nuclear weapons – are excluded. A number of US allies are among the Treaty’s strongest supporters and earliest signatories, such as New Zealand, Thailand and the Philippines. They have confirmed in the real world that support for the Treaty can go alongside non-nuclear military collaboration with the US. 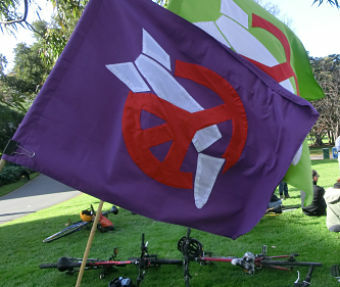 Australia must eventually get on the right side of history and join this Treaty, as we’ve joined every other treaty prohibiting unacceptable weapons, if our claims to support not only nuclear disarmament, but the international rule of law, building global security, and the United Nations mean anything. We should cut our losses, stop being part of the problem of the world’s worst weapons and become part of the solution, and join the Treaty forthwith. 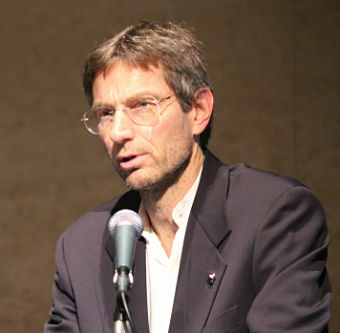 Tilman Ruff is co-founder of ICAN and co-president of International Physicians for the Prevention of Nuclear War. Republished from John Meandue’s blog of 12 July 2018.